Looking for the best network attached storage? But first what is a NAS? Network attached storage devices are an excellent solution for those homes that have intensive storage needs or are looking for a way to seamlessly share high volumes of digital media across their home networks. Most of them also offer remote file access features which allow you to access the storage device from anywhere using a device with internet capabilities. Determining the best home network attached storage (or NAS device) for your needs will depend on a few factors. Your storage needs, the complexity of your home network, and of course your budget are but a few of the things you should think about. Fortunately, the choices are vast, and there are many quality NAS units on the market, each with their own sets of advantages and disadvantages. Of course, many of these data storage solutions are extremely expensive and are better suited to commercial applications, but there are a great number of NAS devices that are perfect for home usage. When looking for a high-quality NAS device, there are a few important characteristics to look out for. While in most cases, you can expect to see these features on any relatively new NAS. It is always worth your while doing double check the availability of total storage and bay capacity, processing power. The first thing to consider with a storage device is, of course, it's storage capacity. This will depend largely on your own needs, and certainly by the limitations of your budget. If you’re sharing documents and backing up a handful of family laptops and PCs, or are storing media files captured from mobile phones, a NAS with 2Gb of storage capacity will likely be more than enough. However, if you have an extensive and ever-growing media corpus of high definition films and music libraries, then you might want to opt for 6Gb-8Gb instead. The total storage capacity of NAS devices is ultimately determined by how many drive bays it has, whether or not an extension device can be used, and of course what type of hard-drives the NAS can support. You may find that you don’t need much storage space in the interim, in which case it is wise to go for a NAS that has slots for additional hard-drives that can be installed at a later date. Alternatively, you could save money by purchasing diskless NAS and installing your own hard drives if you know what you’re doing. If you’ve never installed a hard drive before, however, it would be best to get a NAS with one pre-installed. When purchasing NAS devices, it is important to start out small and within the means of your budget. You may find that you have no need for exceptionally high storage capacities, so with this in mind, it is better to start off with low base capacity NASs with plenty of empty bays for later upgrades. More often than not, NAS devices connect to your local network through your router, using ethernet connections. Some use USB or even Wi-Fi, but there aren’t very many. Remember that the performance of the NAS you choose will be limited by the capabilities of your router, so make sure that it can provide the connection speeds you need. Finding a NAS device with HDMI or USB support is generally a good sign that it is meant for media and file sharing, which means it might be more applicable for home usage. In most cases of home usage, performance should rarely be a problem for NAS units. They handle small-scale networks with relative ease. However, if you are streaming HD media to multiple devices simultaneously, the NAS unit will need to have enough RAM and processing power onboard to handle the task. If your needs are simply for file storage and backups of your devices at home, then RAM and CPU power might not be all that important. But when it comes to smooth media sharing, you’ll want a device that delivers in these areas. We picked some of the best network-attached storage units, read on to see which one would be suited for the task. Remote access allows users to access files stored on the NAS device from any device that is connected to the internet, from any location. This allows you to take your files and media anywhere with you, and even allows you to make backups from paired devices such as mobile phones even when you are nowhere near the NAS. Since they use remote access services, your data is not actually stored in a cloud, it is accessed directly from the NAS over the internet. This gives you more control over your online files, provides you with more reliability, eliminates the need for monthly cloud storage subscription fees, and unfortunately, also opens up a few possibilities for security risks. Because of their remote access capabilities, NAS devices need to make use of stringent encryption and security measures to ensure that only those with permission get access to files. Even those being used strictly on a local network may find it necessary to make certain files shareable (such as music and movies), while some require passwords and usernames to access (such as financial documents). The quality and capacity of all of the above-mentioned features will have a direct effect on the price of the NAS unit, with storage capacity and processing power taking up the greatest chunk. They are not particularly cheap under any circumstance, but for those households that put value in data and media storage or sharing, NAS units are well worth the investment. The DS916+ is as admirable a NAS for corporate use as it is for the home, putting it in a medium price range for a highly functional and secure device. An 8TB standard drive capacity makes it perfectly suited to homes with huge media libraries and backup needs, but its scalable storage can house up to 9 drives, allowing for far greater capacity limits. The DS916+ also boasts exemplary processing power and available system memory since it makes use of a Quad-core processor and comes in options of 2GB and 8GB of RAM. This allows the NAS to process information and snapshots at astounding rates, increasing overall performance when transferring or streaming files over the network. The DS916+ supports hardware transcoding at a maximum of 4K at 30 frames per second, which is relatively good for such high resolutions, although users may not appreciate the moderately low frame rate. It also makes use of 3 USB3.0 ports and an eSata connection which makes connecting it to other devices relatively simple, while mobile apps for managing files and connections makes the administration of your storage even easier. It is quite pricey and limited in terms of storage capacity and 4K streaming rates. But considering that the DS916+ is a better solution for centralized storage than full-on media streaming, that isn't a very big letdown. 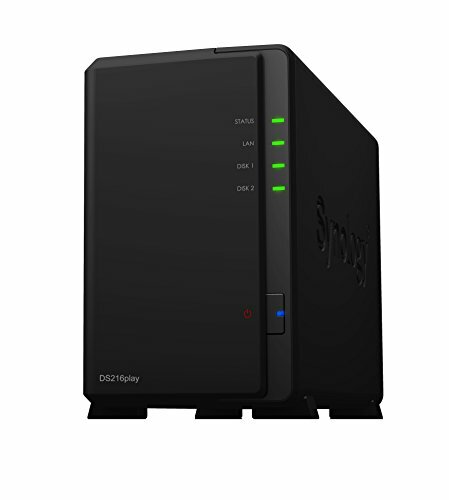 The Synology DS216play is a little more suited to home use than the DS916+, as its name would suggest. For starters, it is a fraction of the price since it cuts out the massive bay capacity of its counterpart. It comes in two capacities, each of which is practical for home usage, namely 16TB or 20TB, which is plenty for any home, no matter how many devices you back up and how many HD films you watch. It makes use of a dual-core 1.5GHz processor and 1GB of RAM which is generally enough for simple networks and makes use of a USB2.0 and a USB3.0 port. Despite having limited capacity, processing power, and RAM than the DS916+, it streams 4K media equally well, and since it is a much cheaper option, it is likely more suited to home use. The only real disadvantage to this model is that it only has one additional bay, which means that if your storage needs should extend past 20TB, you’ll have a problem. However 20TB is quite a lot, and the chance of you going past than on a media storage device (as opposed to a PC or gaming console) is fairly slim. 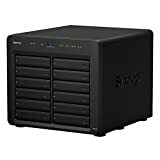 Perhaps your home represents something of a media funhouse or private business, in which case you may be looking for a NAS with the best possible storage capacity and processing power possible. 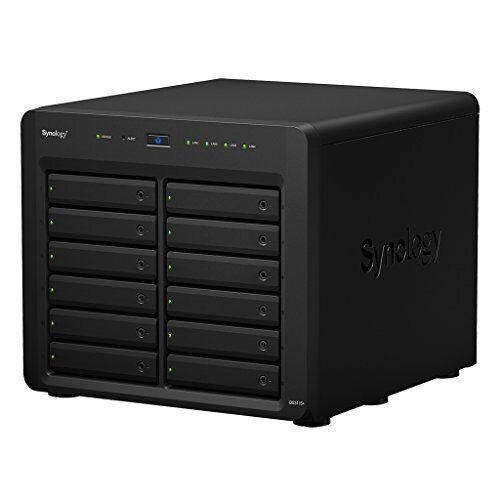 For those with the money to spare and the need for a fully functional and centralized file and media storage system, the Synology DS2415+ cannot be beaten (except in price of course). For starters, it has 12 drive bays which can hold a maximum of around 120TB depending on the RAID type. While with an expansion unit, it can take up to 24 bays with a total 240TB. But for the average home, that might be a little overkill. It also boasts a 22.4GHz quad-core processor and between 2 and 6GB of RAM which means just about limitless encryption speeds and streaming capabilities. While this is all very impressive, there are very few households out there that need, or indeed can afford the DS2415+, but it's always nice to know that the option is there. A good approach when buying this one would be to start small and build its capacity up as your needs grow. 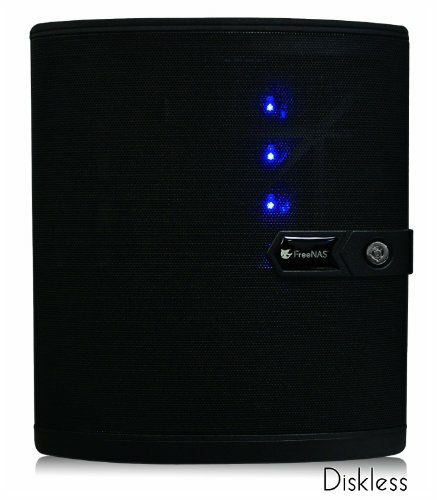 Although the price may not reflect it, the FreeNAS Mini is a great solution for home data storage, partly because of its size and portability, and partly because of its capacity and performance statistics. It takes capacities of up to 24Gb which is a little more suited to home use than the DS2415+. It is also designed with low-latency fire streaming in mind, which means it broadcasts high-quality media fluidly over your network. But considering the price versus the capacity, you must be wondering what makes this device so special. Well, it comes with an eight-core 2.4GHz internal processor, has 8 bays for capacity upgrades, and can house up to 32GB of system memory. This device values performance over base capacity, which makes it ideal for fast transfers, seamless backups and perfect quality media streaming, making it one of the best solutions for home media storage. The price is a bit of a hindrance regardless, making it an incredibly functional but ultimately unaffordable option for most homes. But for those that take home streaming and file sharing seriously, it is one of your best choices. 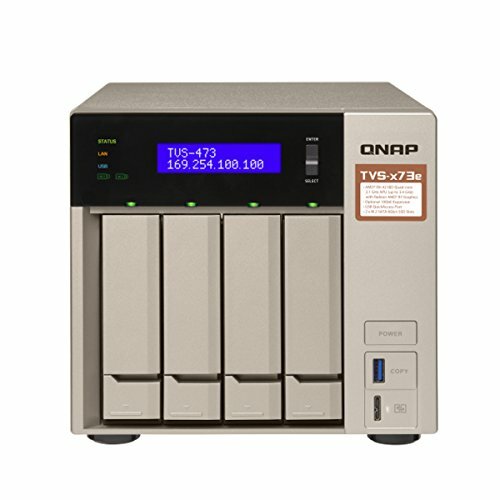 The QNAP TVS-741 was designed with file and media sharing in mind. Compact in size and capacity, it is ideal for household use. Four separate drive bays support 3.5inch and 2.5-inch SATA drives (although it is typically shipped as a diskless package). Two memory slots can take a total of 16BG of RAM while a Core i3 3.5 GHz processor ensures high-speed data encryption. Thus making it an exceptionally fast file transfers and low-latency streaming. Four-gigabit ethernet ports make wired connections to multiple devices possible and three USB3.0, two USB2.0 ports and an HDMI port ensure high-speed media sharing across your network, and allows the device to connect directly to a tv to act as a media hub. Because of this, despite the price and the need to install hard drives after purchase, this NAS is possibly the only home network attached storage device you will ever need. For home usage, we will consider the best home network attached storage to be the one that delivers most amicably for media and file sharing on small to medium-sized networks. To this end, system memory, connectivity, and CPU power are slightly more important than that of actual storage capacity. Since those NAS devices with the highest prices are those with the greatest storage capacity, this makes the ideal storage unit that one which is most cost-effective. To this end, I must laud the QNAP TVS-741 as the most practical and beneficial NAS for home networks. It outperforms all of the others in terms of performance versus price; and even though it doesn’t have nearly as much storage capacity as some of the other above mentioned products, it comes at a far better cost. This in conjunction with its performance specs, makes it the best choice here. Hopefully, this has given you something to think about when looking for the best network-attached storage device for your home. Did you enjoy our best network attached storage article? 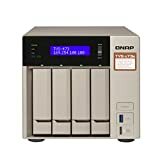 Are there any NAS devices that you would recommend? We would love to hear more from you. 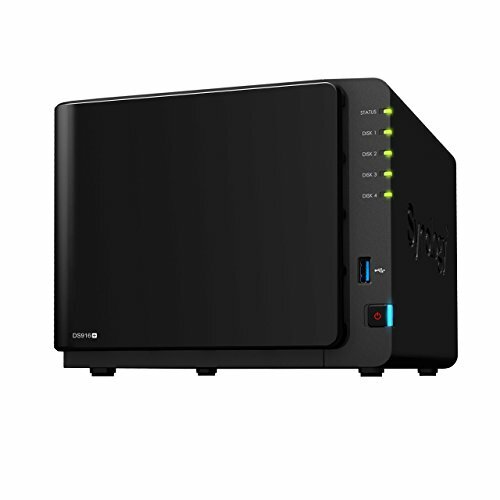 Synology is a great solution for a small business that needs authentication and dns services but can’t justify the costs. Are the other products reviewed here providing these same services?